The end of season friendly in America was an opportunity for Craig Levein’s men to be tested against a top 20 side, and gave the Tartan Army Sunshine Appeal the chance to continue our “Everywhere We Go” pledge, and make our first donation to a children’s charitable organisation in the USA. We were made aware of the work of the Jacksonville School for Autism shortly after the match was confirmed in February. I was pointed in the direction of Michelle Dunham, the Executive Director, and one of the founders of the school back in 2005. Michelle’s own son Nick is autistic and, struggling to find a suitable learning program that could meet his additional needs, she – along with a friend in the same situation – decided to set about the formation of this organisation. 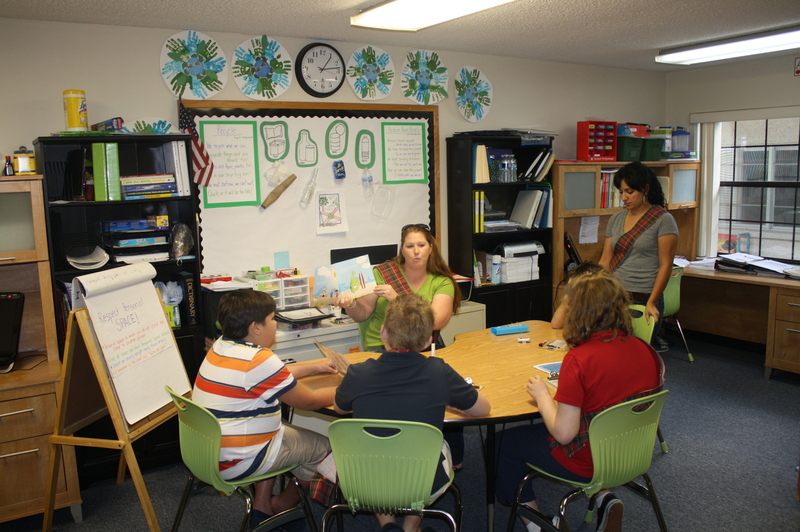 The schools objectives are to offer the best possible assistance to cater for the varying levels of autism of all students (aged between 4-21), and enhance their academic and behavioural growth, develop coping skills, offer speech therapy and maintain positive relationships with their peers, to give them the best possible chance of leading as near to normal adult life as they can. 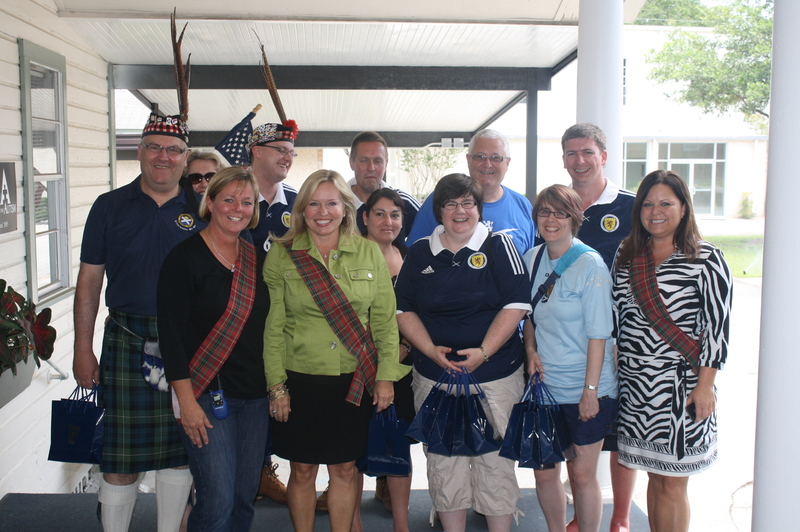 We were delighted to be invited along to the school on Friday 25th May, on the eve of our 5-1 trouncing by the USA, and received the warmest of welcomes from staff and students, with the tartan sashes a very nice and welcoming touch! Michelle gave our visiting party of 10 a tour round all parts of their small school, showing us the various different learning areas and learning situations, introducing us to children who were equally delighted to meet us, whilst continuing their learning. On the tour, Michelle detailed the various different issues caused by autism, the astounding fact the 1 in every 53 boys born in the USA are born with some level of Autism, and went into depth about her experiences with her own son. She was also keen to answer any questions we had. 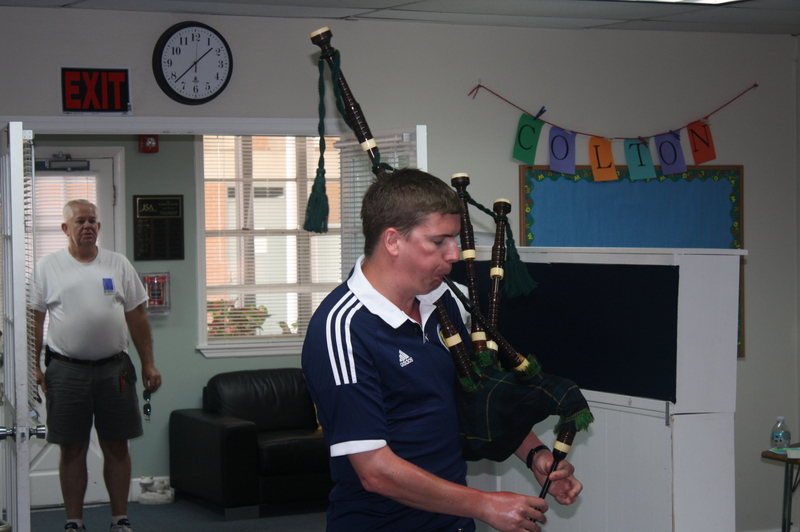 After the tour, we were all invited into the main room of the school, where children and teachers alike joined us for a few songs by Calum on his pipes, before presenting our donation of around $2,400. As approved at our recent AGM, mainly due to the continued fantastic support from the wider Tartan Army, we have been able to increase our donations to £1,500 per match. After a few photos, and thanks all round, we left, delighted with our visit, and the brilliant reception from all involved at JSA. 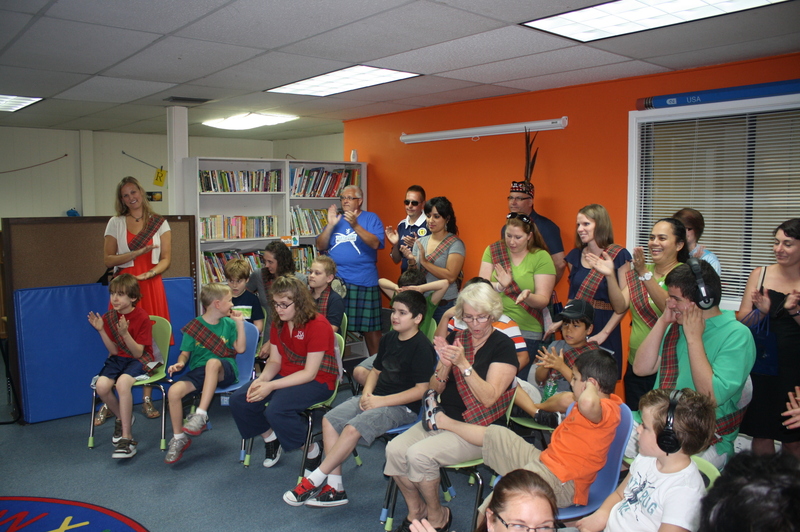 Thanks too, are due to Kim Ritten and Robin Wright of Visit Jacksonville and to Michael Bouda (Clan Morrison) of Jacksonville Economic Development Commission – Sports and Entertainment Division who all helped bring this project together. Once again, we’ve come back from another away trip with another terrible performance and disastrous result from the match. 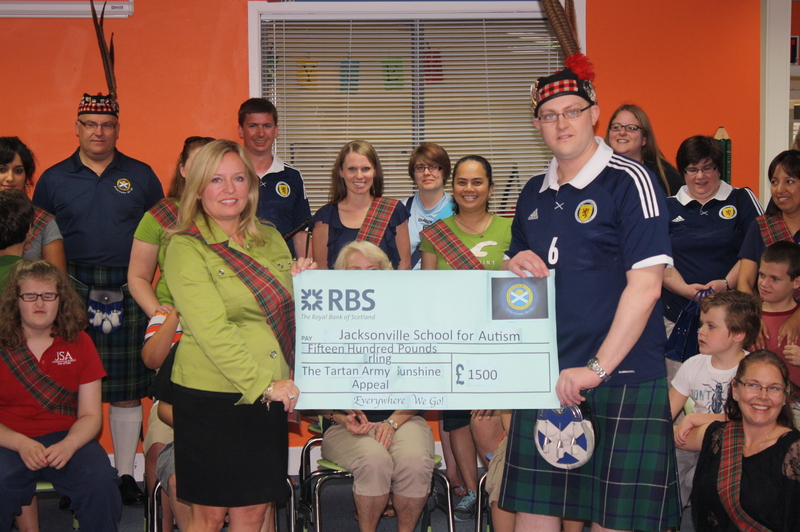 But once again, it was an honour to represent the collective Tartan Army and everyone who donates to the Tartan Army Sunshine Appeal and to hopefully have spread a little sunshine into the lives of the children who attend this wonderful school. Seeing first hand the work and efforts these organisations go to, to change the lives of those less fortunate than ourselves, is truly inspiring. An experience that will stay with me, long after I stop travelling to Scotland matches.